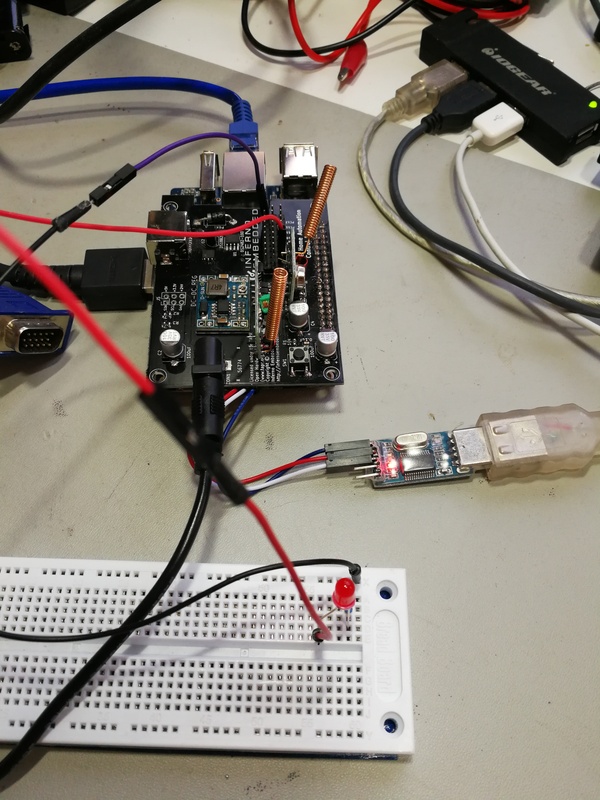 As part of working through adding OrangePi support to Home Assistant, Alastair and I decided to change to a different GPIO library for OrangePi to avoid the requirement for Home Assistant to have access to /dev/mem. I just realised that I hadn’t posted updated examples of how to do GPIO output with the new library. So here’s a quick post about that. The most important thing there is the note about SUNXI pin mappings. I find the whole mapping scheme hugely confusing, unless you use SUNXI and then its all fine. So learn from my fail people! Let’s pretend it didn’t take me ages to get that to work right because I had the circuit wrong, ok? Which is me pressing the button once (it go high when pressed, and then low again when released). This is of course with a button wired to GPIO17 with a current limiting resistor between the button and the 3.3v rail. A quick list of things I did for the LCA2019 Home Automation tutorial. Of course Alistair did a lot more, but I still want to track these. We also need to run hass as root, because OrangePi GPIO support requires access to /dev/mem for reasons I haven’t dug into just yet. That’s turned out to be (reasonably) a pretty big sticking point upstream. Access to /dev/mem gives you a whole bunch of access to the machine that Home Assistant probably shouldn’t have. Alastair went off spelunking because he’s more patient than me and found yet another OrangePi GPIO library. I think we’re up to three or four of these at the moment, but this is the first one we’ve found which supports the sysfs interface to GPIO pins. That’s exciting because it removes our run-as-root requirement. Its unexciting in that the sysfs interface has been deprecated by the kernel, but will remain supported for a while. I think people would be within their rights to conclude that the state of GPIO libraries for OrangePi is a bit of a dumpster fire right now. Anyways, the point of this post is mostly to write down how to use the sysfs interface to GPIO pins so that I can remember it later, I’ll take more about this new library and if it meets our needs in a later post. So, pin_number(‘A’, 7) for PA7 is just … 7. Note that I now recommend that people use SUNXI pin mapping, as its much less confusing. 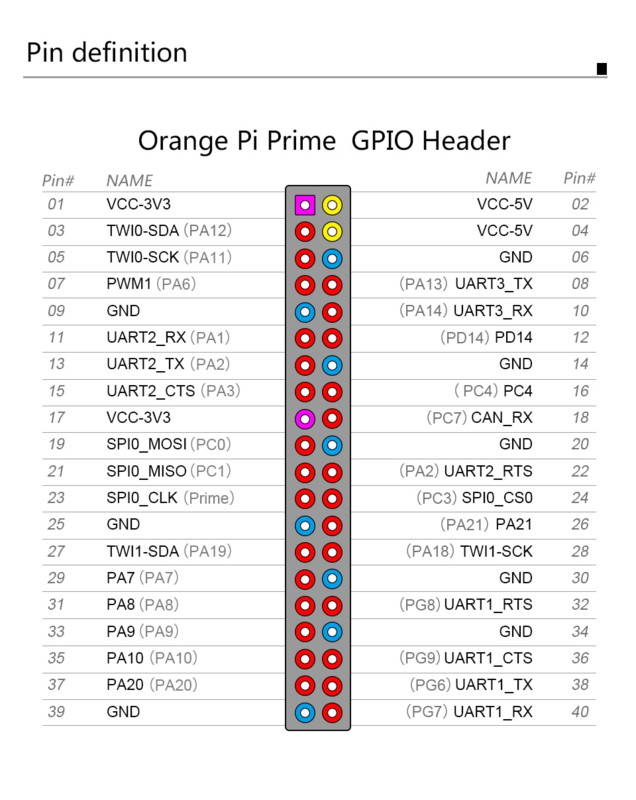 You can read more about alternative pin mappings in this post of worked OrangePi GPIO examples. The next step? 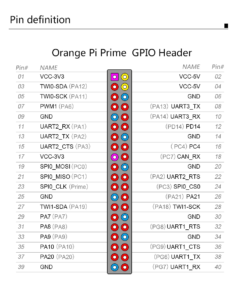 To make sure that the new GPIO library supports sysfs access to GPIOs on the OrangePi Prime. Alastair D’Silva is running what looks to be a very well prepared home automation tutorial at LCA2019 based on Home Assistant. I offered to have a hack on the support for GPIO pins on OrangePi boards in Home Assistant because it sounded interesting for a vacation week. The only catch being that I’d never done anything with GPIO pins at all on either Raspberry Pi or Orange Pi. 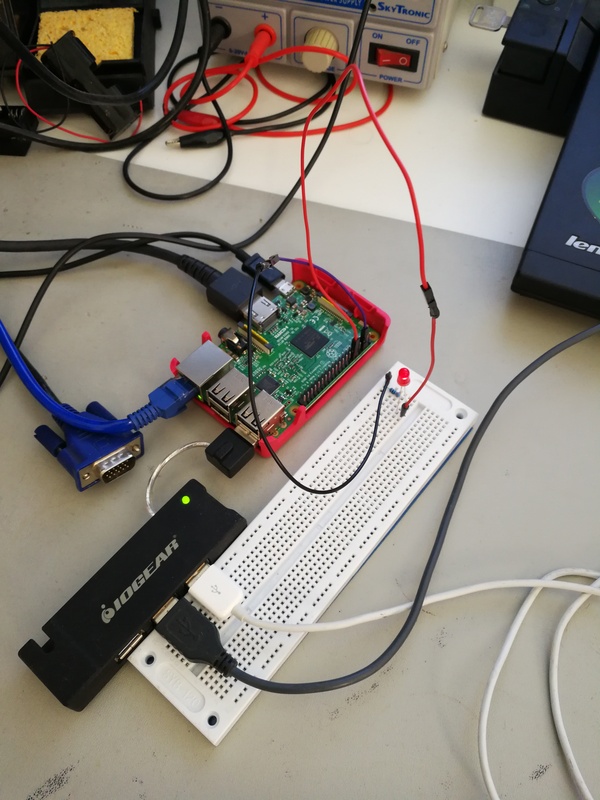 The first step seemed to be to get GPIO working at all on a Raspberry Pi (which is currently supported out of the box with Home Assistant). 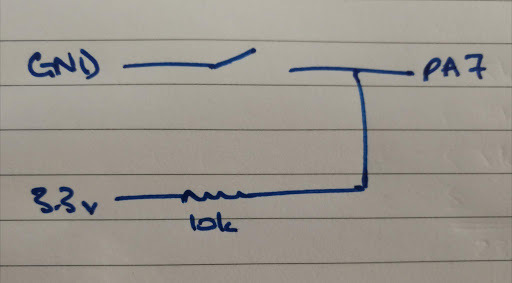 This online tutorial has a simple example of a circuit and the associated python code to blink a LED on a Raspberry Pi, so off I went to build that circuit. The circuit has a LED with a 330 ohm pull up resistor on GPIO pin 18 on the board. The sample python code on the page above just blinks that LED, which I used to make sure that the circuit as working as intended. I’ve lied to you a little bit above, for which I apologise. I’ve also been working on helping Alastair with adding Orange Pi to the rpi_gpio component in Home Assistant, as the tutorial is based on Orange Pi Primes, with a custom home automation shield installed. Now that I have a sample configuration that works for Raspberry Pi and a test circuit, its time to make sure that Orange Pi works correctly too. Home Assistant doesn’t currently have any support for Orange Pi GPIOs. The first approach I took was to forward port this ancient patch which adds Orange Pis as a new component beside Raspberry Pis. That port is available here, but in the end I decided it would be nicer to just have the existing Raspberry Pi component also support Orange Pis, instead of duplicating a whole bunch of code and adding some confusion. (It should be noted that there are downsides to this new approach — the code is more complicated this way, and Raspberry Pi owners need to download the Orange Pi GPIO library even though they’ll never use it. That said, I see these downsides as relatively minor). A small hitch however. Orange Pi names the GPIO ports in a quite different way from how Raspberry Pi does, and this took some time to get used to. 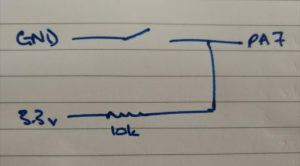 The mapping of GPIO pins was a little hard to find, so I’ll include it here (the image to the left). A second hitch was that I needed a linux image for the board. I’ve used Armbian Stretch, as the hass.io image is quite locked down (no ssh to the base OS for example). Based on the pin image instead of the Pin 18 from the previous example, I moved to what is labelled on the tutorial shield as “PA7”, and which is referred to in code as Pin 29. Note here that we need to specify what board we’re on (in this case a Prime), and we set the mode differently than the linked example. Note the additional config in the rpi_gpio entry. We also need to run hass as root, because OrangePi GPIO support requires access to /dev/mem for reasons I haven’t dug into just yet. OrangePi GPIO support currently requires a patch to Home Assistant, which you can find at a github branch.